A general desire exists to control the wastewater flow through pumping stations more efficiently. Variable speed systems can provide a more flexible and powerful solution compared to constant speed pumps. 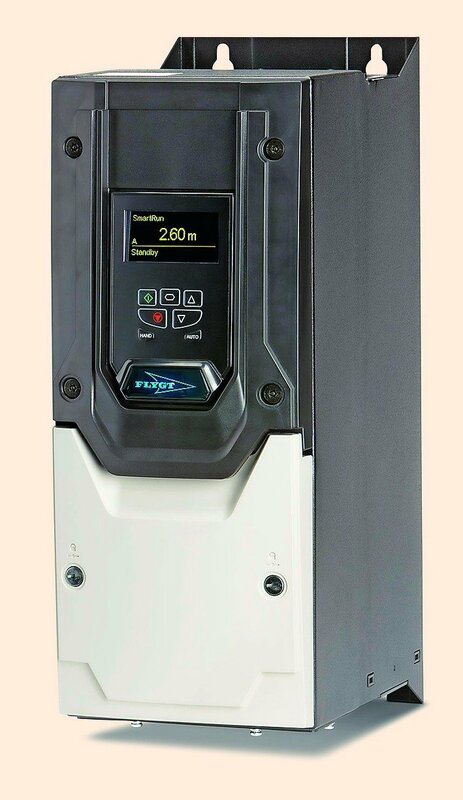 Controls and variable frequency drives tailored to the pumps and the applications can lead to more reliable operation in combination with energy savings of up to 50 %. Wastewater pumps have traditionally been operated in on-off mode regardless of the size of the wastewater pumping station. Since the inflow of wastewater varies over time and is often only a fraction of a pump’s required capacity, engineers have been looking for ways to operate wastewater pumps at reduced capacity. Before solid-state variable frequency drives became commonplace, speed control solutions such as two-speed motors and variable voltage windings were used to achieve two-speed pumping. 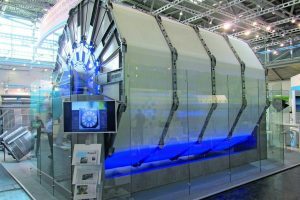 During the last ten or fifteen years, the industry has seen a significant increase in the number of variable frequency drives (VFDs) in wastewater transport systems. Pumping with variable speed pumps – assuming this is done efficiently – can result in better process control, energy savings, smoother operation and lower maintenance costs for the pumping station. Some wastewater operators who have installed variable speed pump systems have noted that there were no savings in energy usage. An increased incidence of pump clogging has also been experienced. This is directly attributable to the reduction in operating speed. The power absorbed by the impeller drops by the cube of the speed change and a wastewater pump’s ability to pass larger solids diminishes as the speed of conventional, non-clogging pumps is reduced. The increase in energy consumption is due to two phenomena, namely partial clogging of the impeller and operation beyond the pump’s best efficiency point. It is important to consider all piping and pumping station aspects in order to achieve an efficient system, for example system curves, pump and motor selection, process control, electrics, energy saving potential, control strategies, piping components, etc. 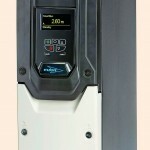 The best way to compare energy efficiency in pump systems is to calculate the specific energy. 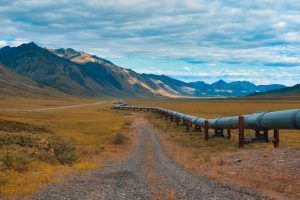 The specific energy value takes account of all of a pump system’s components, i. e. all electrical, mechanical and hydraulic efficiencies including piping losses. Specific energy is the quotient of the energy required to transport a given liquid volume (kWh) and the volume of the pumped liquid (m³). The inflow to a wastewater pumping station varies considerably over a 24-hour period. It is typically low during the night and peaks once in the morning and again in the evening. Energy consumption can be minimised by reducing the total pumping head and maximising pump efficiency. Total head is defined as the sum of static head and losses. Since friction losses are directly proportional to the flow squared, it makes sense to reduce the flow. As a wastewater pump is normally sized to handle the maximum inflow to the pumping station, it is possible to reduce the pumped flow during normal operation and thereby reduce the total head. To achieve maximum pump performance, it is essential to select pumps that guarantee sustained efficiency (i. e. that are self-cleaning) and that operate as close as possible to the best efficiency point. A pump that is operated at reduced speed should be selected well to the right of the best efficiency point (BEP) at full speed in order to ensure maximum efficiency when the speed is reduced. The specific energy of a given system varies with the pump speed. The optimal speed from an energy saving perspective is when the pump runs at the frequency corresponding to the minimum specific energy. The optimal frequency is dependent on several factors. 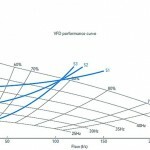 These include the pump performance curve and the system curve, which together generate different specific energy curves. 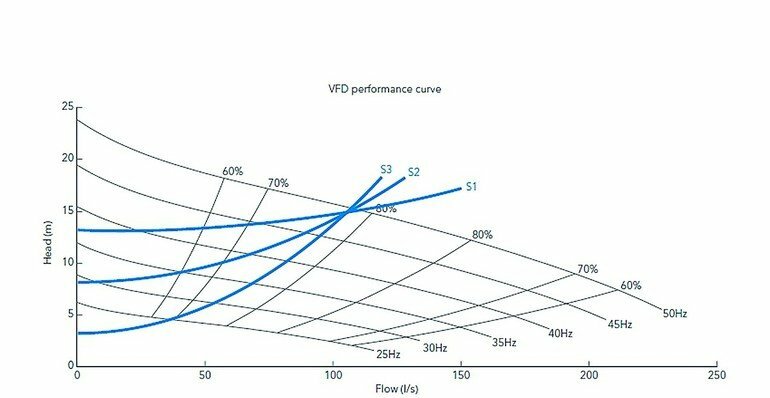 Finding the optimal frequency when a pump is operated at variable speed presents challenges. One method for identifying the optimal speed involves the use of algorithms. Intelligent pump controls like Flygt Smartrun have algorithms that optimise the speed automatically for minimum energy usage. Flygt Smartrun makes use of an iterative process to determine the optimal speed and adapts to system changes such as reduced pump performance or increased sedimentation in the force main. The control takes care of pump, pipe and sump cleaning and reduces water hammer through intelligent soft starts and stops. A combination of reduced speed and intermittent draw-fill operation is the most energy efficient method of controlling variable speed pumps – and the one recommended for wastewater pumping stations. It eliminates the time when the pump runs at a speed below optimum. To achieve intermittent operation and make sure the pumps do not start and stop too frequently, it is important to establish a suitable distance between the start and stop levels, so that the pumps can operate at the minimum energy speed for a sufficient period of time. If a modern, constant level control strategy is chosen, the minimum energy frequency must be set as the optimal frequency in order to maximise energy savings and operational reliability. Pump clogging is a common wastewater pumping problem. Both the impeller and the volute can be partially or completely clogged. Complete clogging is when the pump has ceased pumping; this condition is easy to detect and highly undesirable. A partially clogged pump, however, is harder to recognise and often goes unnoticed because the pump still delivers flow, albeit reduced. This can go on for a long time, wasting substantial amounts of energy. If the pump is operated continuously, its efficiency will gradually decline to a level less than half of the clean water efficiency or lower. 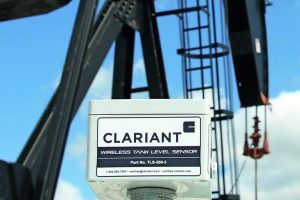 Clogging can be caused by foreign objects but the reason is more likely to be normal wastewater constituents, possibly in larger sizes or accumulations. There are several different clogging phenomena, which can affect the pump’s performance (head, flow and input power) in different ways depending on the pump design. Conventional channel impeller wastewater pumps – both single and multi-vane as well as vortex impellers – are prone to clogging due to soft and fibrous objects accumulating on the leading edges or at the centre of the impeller. This results in reduced pump efficiency and substantially higher energy consumption. 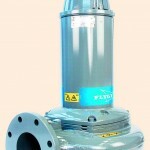 Pumps with self-cleaning hydraulics and variable speed control are recommended in this case. The self-cleaning mechanism remains constant and is independent of flow and speed. As long as the duty point remains within the pump’s allowable operating range, therefore, a self-cleaning pump can handle reduced speeds, even down to half the full speed, without any increased risk of clogging. 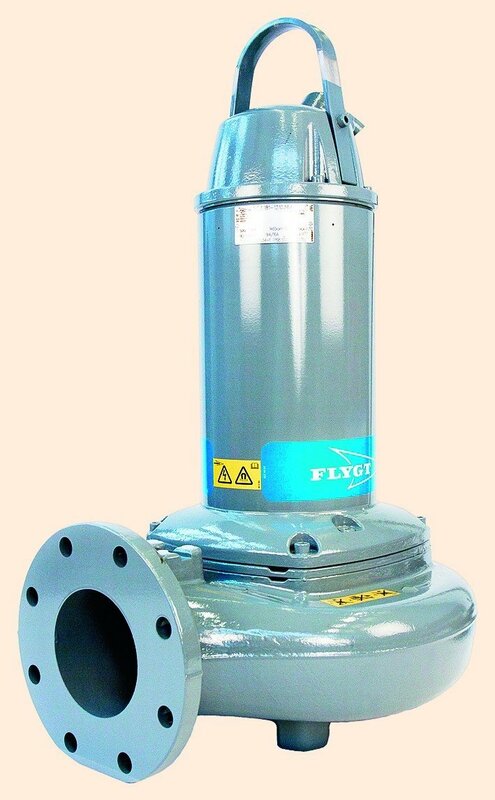 Flygt Experior is a reliable, energy efficient and user friendly wastewater pumping system. Experior combines N-technology pumps, premium efficiency motors and Smartrun, and can be tailored to specific needs. N-technology components ensure continuous, clog-free pumping in the toughest wastewater applications thanks to their highly resistant materials and the self-cleaning impeller. The pumps are designed for capacities of up to 1000 l/s with motors from 1.3 to 680 kW and a maximum pumping head of 100 m.